One of the most significant issues facing non-profit organizations is fundraising. 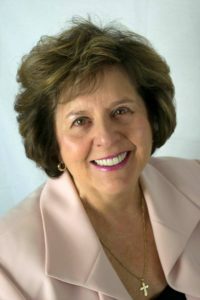 We are addressing the issue by presenting one of the most effective fundraisers in Sussex County, Marjorie L. Strohsahl. Marjorie is no stranger to volunteerism. She has held high ranking positions with the Sparta Historical Society, Ogdensburg Historical Society, New Jersey State Federation of Women’s Clubs of GFWC (NJSFWC) and the GFWC Sparta Woman’s Club just to name a few. She is the New Jersey Women’s Club “Women of the Year” for 2016. The title of her talk is “Growing your Organization…Members, Friends and Funds”. All are welcome and we look forward to seeing you.